What could be better than spending a relaxing day with your pug by the pool? Some pugs can’t get enough of splashing around in the pool, but pugs also tend to be poor swimmers. Make sure you keep an eye on your pug if they are in a pool where they can’t touch the bottom, and don’t leave your pug unattended near a pool. 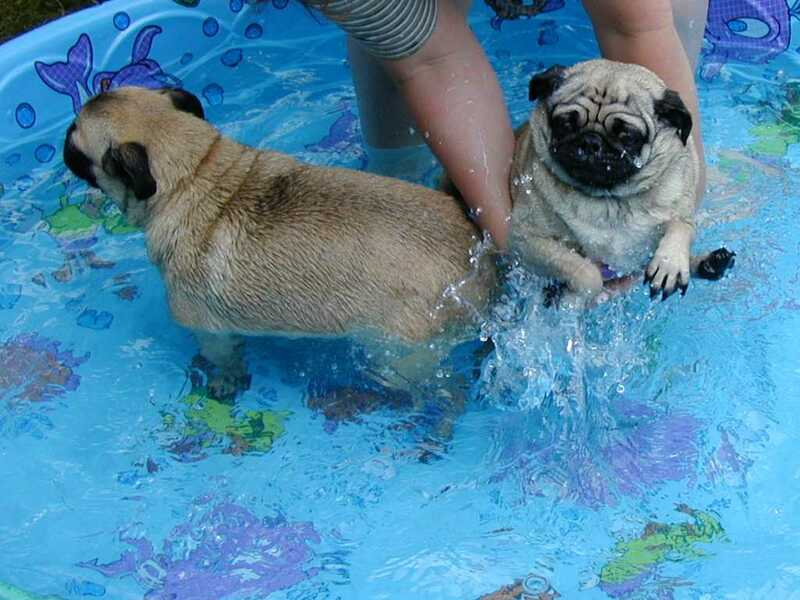 These pugs are all enjoying some serious pool party fun!